Barbara Ball, PhD, LPC, ATR-BC, trained and worked as an art therapist before joining the SafePlace staff in 2003. Initially, she worked as a school-based counselor with at-risk girls. Recognizing the toll of violence on young people’s lives, she became committed to primary prevention and using the arts for social change. She served as Project Director for Start Strong Austin from 2008 through 2012. 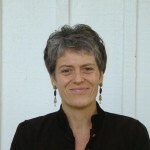 Barbara was the primary author of the Expect Respect program manual published in 2008. She currently directs the program evaluation of Expect Respect and provides trainings nationally.